Here's the latest CJ & LC Podcast Number 4. This time Chris and I are joined by Nigel and his girlfriend Christina. 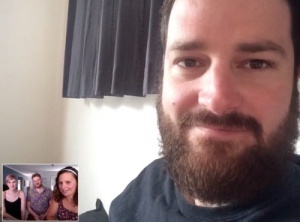 We talk about their 3-week travel adventures in Japan, vegan donuts, vegan food, duck hunting, vegan Easter eggs, Direct Action Everywhere Brisbane, Man in the Maze, and much more. Watch all the Podcast Videos. Also listen on: iTunes, ScatterRadio & Stitcher.